I believe fencing and fine art are mirror forms of human excellence and achievement. A fencer is an artist who masters their weapon the same way as an artist masters their chosen tool for creation. The 2019 art show will feature works of five artists. All displayed art pieces will be available for sale with proceeds benefiting the Yury Gelman Foundation and its programs. The fundraiser is about providing an equal opportunity for kids of various backgrounds and abilities to participate in fencing. U.S. Olympic Fencing medalists James Williams and Keeth Smart (both Silver, Beijing 2008), Dagmara Wozniak and Monica Aksamit (both Bronze, Rio 2016) among other internationally recognized fencers attending the event, will speak about the role of fencing in their lives. Top US Fencing and FIE ranked athletes and current university students, including Fares Ferjani and Ben Natanzon, both seniors, as well as Elizabeth Tartakovsky, Jason Oh, Nora Burke, all juniors, will share their experience of benefits of competitive fencing for the academic achievements. Mr. Jeff Bukantz, a former fencer and the president of Macсabi USA, will support the Yury Gelman Foundation by keeping the event moving. The world’s leading manufacturers of fencing equipment and sports apparel are supporting the initiatives of Yury Gelman by partnering for this event and presenting special gifts to the best performing fencing athletes for their achievements during 2018 season. 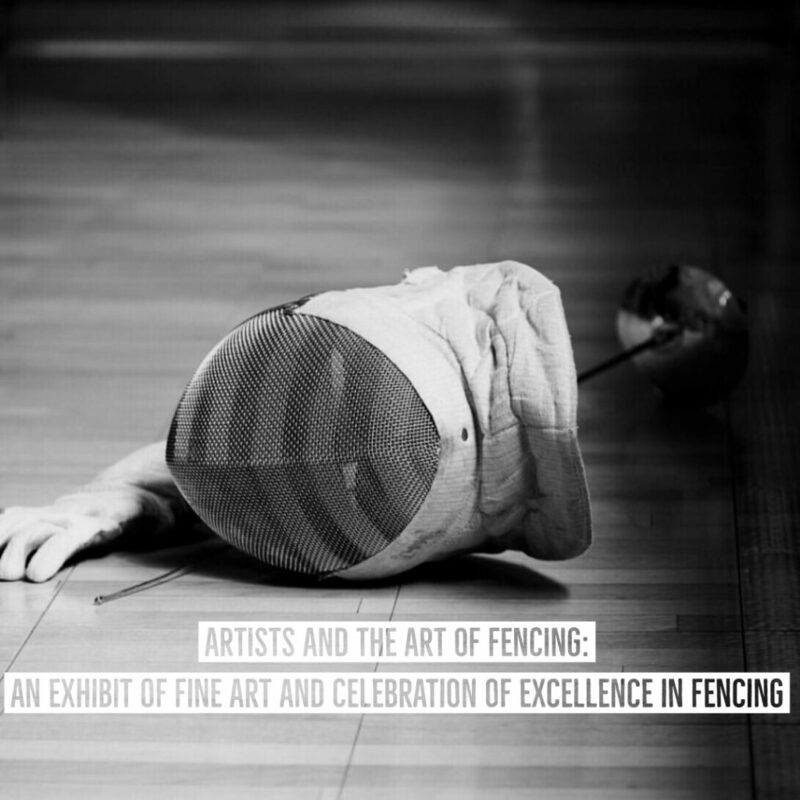 “Artists and the Art of Fencing” will be held on January 12, 2019 from 6PM to 9PM at Manhattan Fencing, 15 West 37th Street, New York, NY 10018. For more information on the fundraiser, please refer to http://artistsandtheartoffencing.eventbee.com or call/email Anastasia Nisenbaum at: (917) 971-8210 or info@yurygelmanfoundation.org. Absolute Fencing Gear is the world’s leading manufacturer and supplier of equipment and services for Olympic-style fencing. Combining three decades of experience, a wide distribution network, high-quality manufacturing, and a highly talented team of professionals, the company equips fencers, clubs, universities, teams, events, and federations with fencing gear for all levels of the sport. Betty K is a collaboration of two female friends, an artist and a former athlete, aiming to show how polar opposite interests can create something unique if passion and friendship is involved. The company focuses on sports apparel for women who are not afraid of a unique look. Betty K brings light even to an overcast day. Uhlmann Fencing is one of the leading fencing equipment manufacturers, and has been for decades. The company distinguishes itself with permanent innovation, highest quality, outstanding service and a strong sense of confidence. By the perfection of material and its processing, Uhlmann brings security and comfort into the fight. The Manhattan Fencing Center was started in 2007 by U.S. Fencing Hall of Fame Maestro Yury Gelman. The Manhattan Fencing Center prepared Olympic Silver Medal Sabre Men’s Individual (RIO), Olympic Bronze Medal Women’s Sabre Team (RIO), Olympic Silver Medal Saber Team (Beijing), three top 8 finishers London Olympics, US National Men’s and Women’s Saber Team, many World, National and NCAA Champions. The Yury Gelman Foundation is a charitable organization that uses the Olympic sport of fencing in a way that assists economically challenged youth to establish essential life skills of self-discipline and organization, goal setting, strong study habits and a solid work ethic.